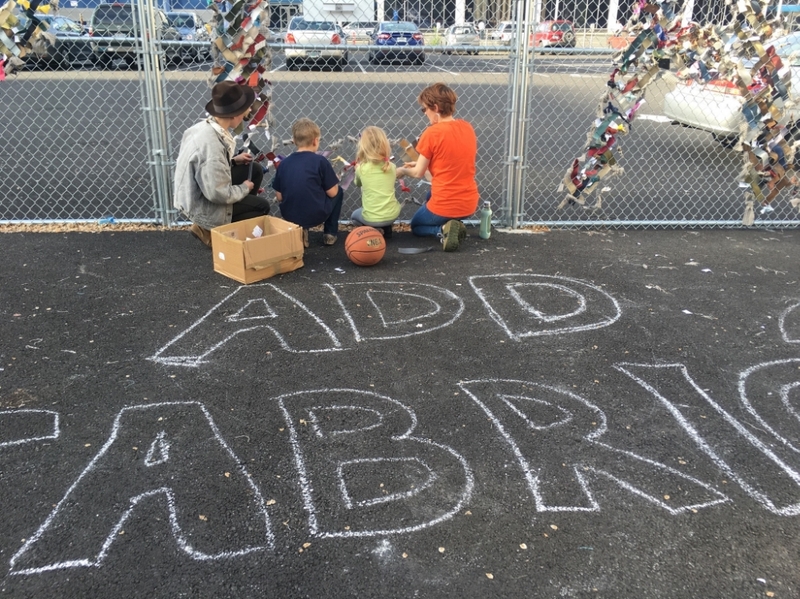 From the outset of the fall 2015 semester, the first-year cohort of Pacific Northwest College of Art’s Collaborative Design MFA was faced daily with the dismal parking lot directly outside the west-facing entrance of the school’s new location on NW Broadway in Portland, Oregon. On the south end of the lot, students tossed their cigarette butts at the base of a Lee Kelly sculpture, to the north was a cluster of permit-only parked cars, and sliced down the middle was a chainlink fence. The lot left much to be desired aesthetically, especially for a space that served as the first physical impression for an art school—and a historic former federal building. 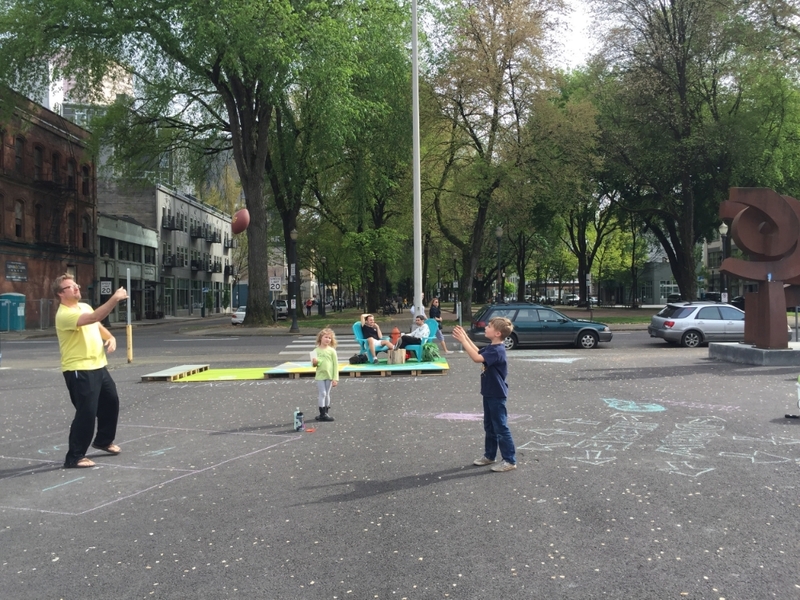 One Saturday in April 2016, members of the first-year cohort—in collaboration with Portland Parks & Recreation, the Urban Design Studio, Department of Planning and Sustainability, Portland Department of Transportation, and Better Block PDX—presented “Activate the Block,” an afternoon of activities, food trucks, music, and neighborhood camaraderie designed to inform all who passed through about public spaces in their city. 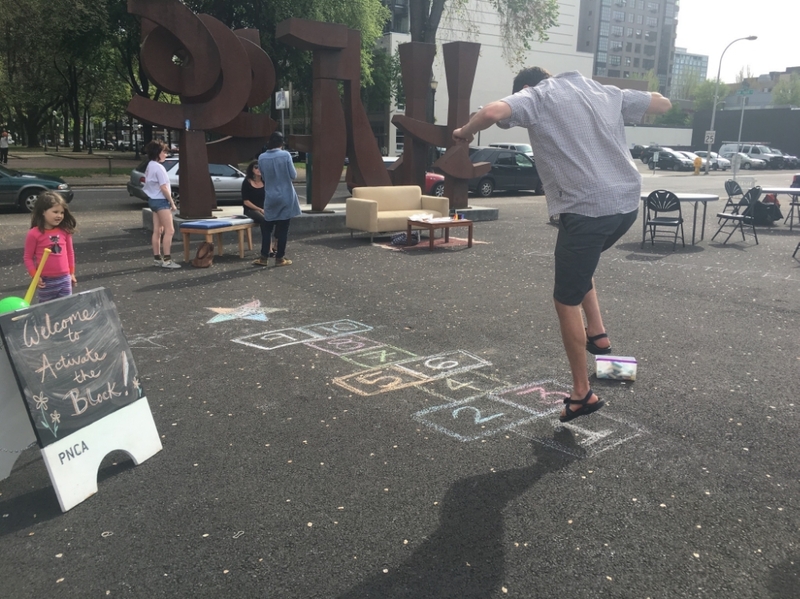 Citizens lounged in Adirondack chairs, noshed on ice cream and sipped iced coffee, created art, played four square and hopscotch, and discussed the future of the park blocks. Approximately 125 people attended the activation. 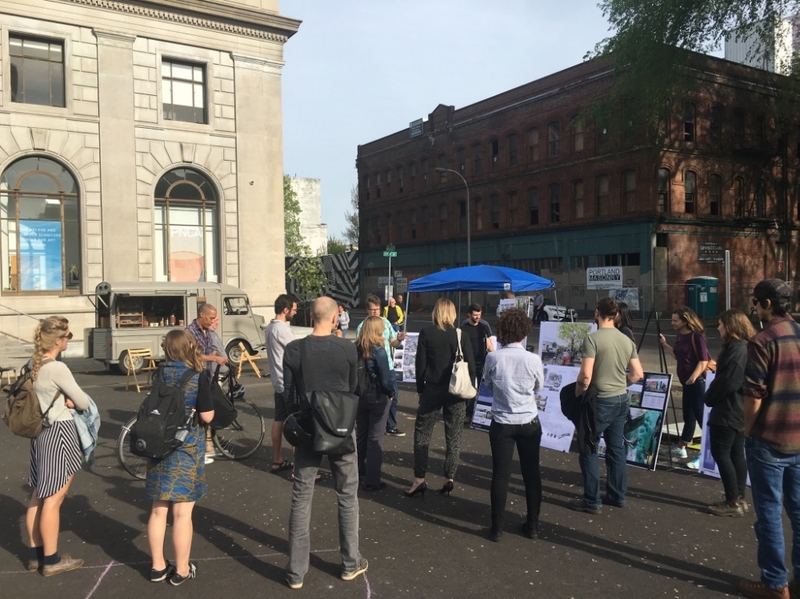 The student organizers believe that the event sparked a months-long dialogue about public space, community engagement, and how Block 112—its designation in official city documents—could best be activated given the diverse stakeholders and constraints. 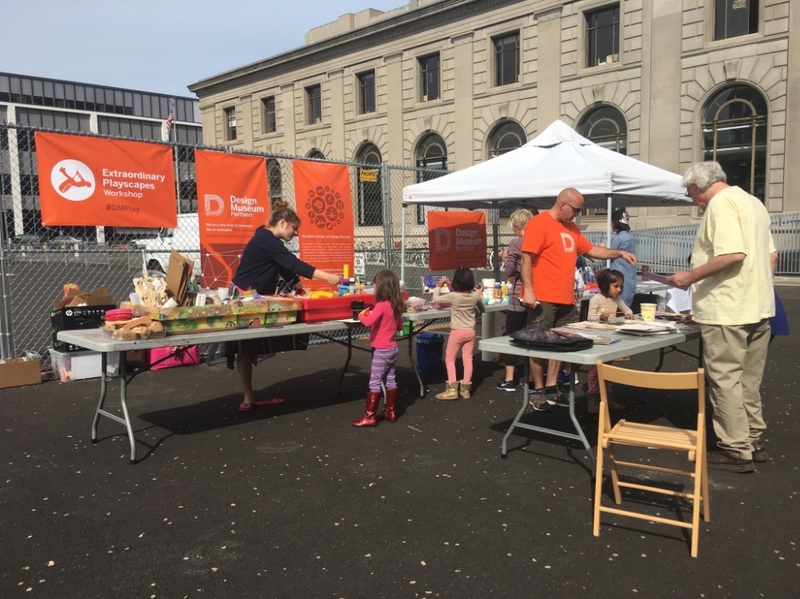 The organizers plan to continue the dialogue with civic and community stakeholders, with plans for additional activations in partnership with other scheduled interventions—and within the framework of the block's ongoing development as a part of the City's 2035 plan and Green Loop. Installation was efficient, flexible and mobile by nature. Setup took approximately an hour, and breakdown slightly less. The food trucks were self-contained with an easy load-in and out, Design Museum Portland's tent and stand were efficiently installed and removed by their staff, the City of Portland brought not only its portable, temporary "parklet" for visualization of the future Park Blocks but easels and poster boards for a late afternoon presentation, and the Collaborative Design cohort moved furniture and other items in and out of the school easily. Planning the event took two months. Because the students had established relationships with various city agencies, permit fees were waived for amenities such as food trucks for the day. Design Museum Portland setup without charge and streamed music was played through speakers. Students handled PR via releases sent to an assembled media list, Facebook and Twitter, along with in-person networking with neighborhood associations and cross promotion with partners at the City. The activation, therefore, was put on with no budget.